You like sales but you are tired of the mental arithmetic ? DOMSOLDES is the application that will free you ! It is free and offers a pleasant and quick interface to do your shopping with confidence ! 50% off jeans, 70% off shoes, 30% off a jacket... How much is all this ? 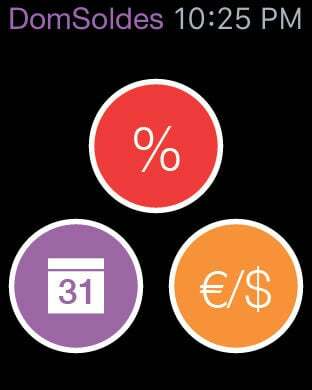 Calculating percentages, French sales calendar and currency converter right on your wrist ! 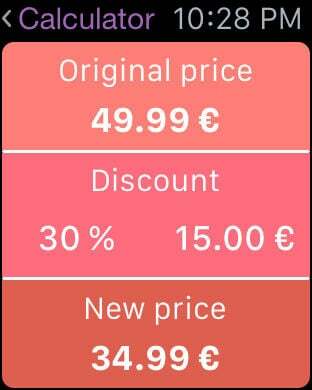 Just simply enter the price of your item, the discount(s) displayed in stock and you're done ! In a wink you know the final amount to be paid in cash ! 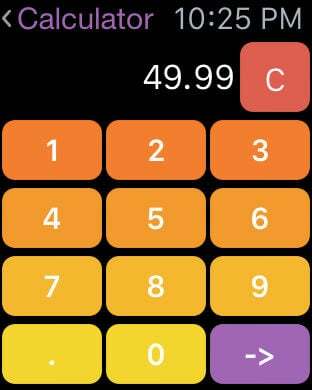 Once the final amount calculated, you can add the item to a shopping list and thus follow at any time the total amount of your expenses ! Finite budgets exceeded ! DOMSOLDES think about your wallet ! For each of your saved items, you can add a photo, change the name, specify the place of purchase and then share via Facebook/Twitter or email with all your friends ! You saw a great item in the store but have not been able to buy it for lack of time or money but still want to buy it in a few weeks or months ? This is not a problem ! Shoot it or make a note of the list of your wishes will be updated and you will be sure not to forget when your next outing ! You are abroad and want to convert the local currency? No worries ! 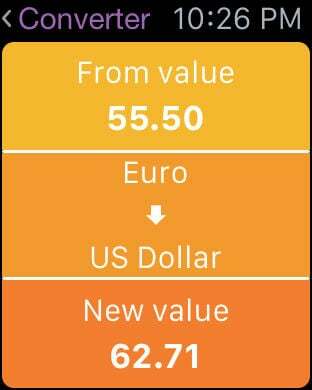 You now have a currency converter with updated exchange rates in real time. 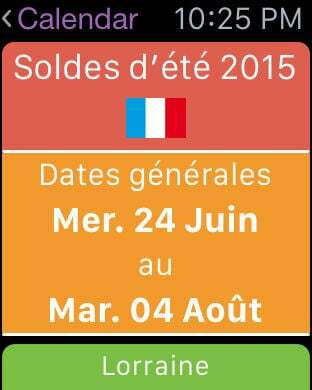 Now you'll never miss out on top bargains with the schedule of outstanding french sales and future ! Now, you have summary tables between different sizes (US, UK, European...) for your purchases ! In addition, we offer a way to find the size of a ring, convenient to never go wrong with jewelry !